There are many reasons to consider utilizing a photo sharing website. For instance, you can transfer your photos by uploading to a photo sharing website. You can share your photos with friends and family no matter how far from you they are. You can safely store precious photos or display professional shots for sale. BlueMelon is a photo sharing site that offers free accounts as well as several subscription-based professional accounts. Find out what features are included, how easy they are to use and which type of BlueMelon account – if any – is the right one for you. 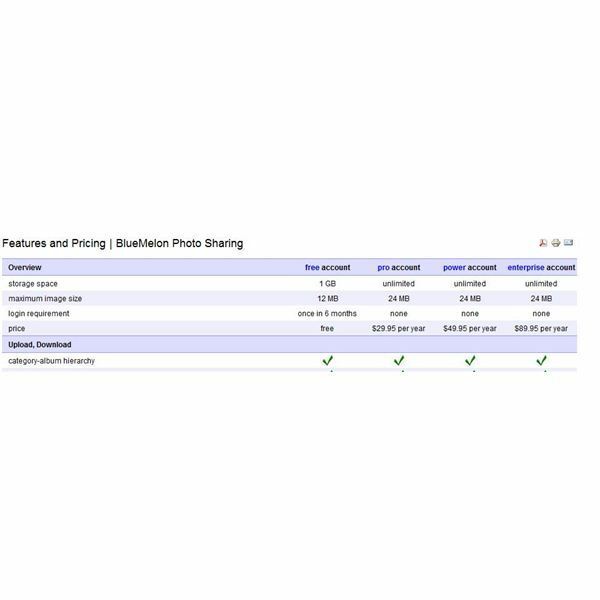 As noted, BlueMelon offers two different types of photo sharing accounts. The first is the free account, with which you receive 1GB of storage along with the basic features. The maximum image size is 12MB, and you must log in at least once every six months to keep your account active. There is are several uploader tools on the BlueMelon website. For instance, you can use the Java plugin uploader, the Flash plugin uploader or import photos from Flickr, Facebook, Picasa or SmugMug. You can also download a desktop uploader that is simple to install and to use. 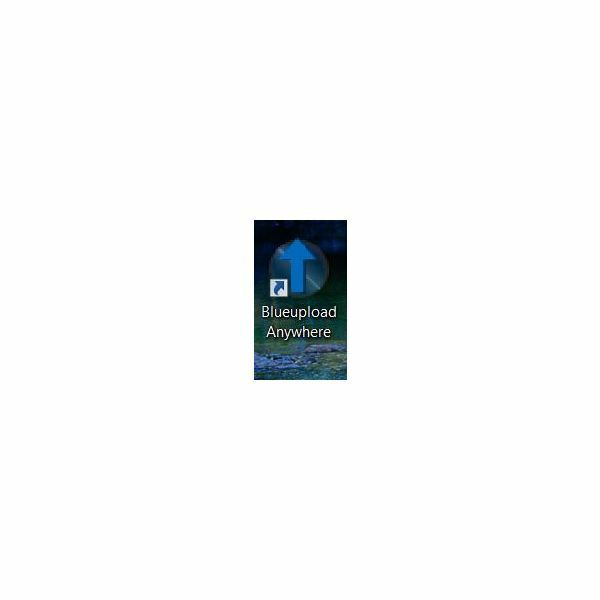 BlueMelon supports JPEG, PNG and GIFF file formats, and there are no traffic bandwidth restrictions, even with the free account. The basic account offers a few privacy features, such as right-click download protection and password protected albums. There are many ways to share your photos, although you are limited to three collections with the free account. You can view full size photographs and full screen slideshows, and create customized layouts, albums and more. Another benefit of this free photo sharing account is that you are guaranteed no ads or spam. For richer customization features, improved privacy features and selling capabilities, you will need to purchase one of the upgraded accounts. There are three premium account options to which you can subscribe on BlueMelon. The Pro Account, which is $29.95 per year offers all of the features provided in the free account along with 24 MB of storage and no login requirements. This account has a couple of privacy upgrades, namely the ability to limit the largest photo size your visitors can access and add password protection to original photos. You also have access to a user referral program with this account. The Power Account is $49.95 per year and offers the same storage amount and features as the Pro Account. The only real difference between the Pro Account and the Power Account is that the Power Account is much more customizable. For instance, you get your own domain name, and the ability to use links in descriptions. The Enterprise Account is $89.95 per year and offers the same storage and features as the Power Account. Privacy upgrades include the ability to create and manage unlimited watermarks and to apply watermarks to images or albums. Customization features are identical to those offered in the Power Account. The major difference of the Enterprise Account is that it provides a complete solution to sell digital downloads. BlueMelon is intuitive and easy to use. The inclusion of multiple uploading options means that everyone can find an option to suit his or her comfort and experience level. Customization is performed by going to the Control Panel tab and selecting a category. Options are changed using simple and basic radio buttons. There is a comprehensive FAQ page, interactive site tour and Help section. You can also access support by completing a support "ticket." The basic Free Account offers many useful features and tools that a novice or infrequent photographer will appreciate. For the more experienced photographer, the Pro Account is affordable and provides added storage, security and customization. Aside from the customization options, the Power Account does not present many upgrades from the Pro Account. Therefore, sticking with the Pro Account or opting for the fully-loaded Enterprise Account may be better options.